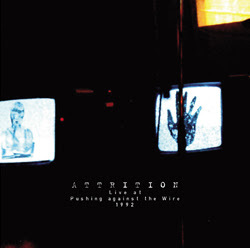 Attrition “Live at The Pushing Against The Wire Festival, England. 1992” – Chain D.L.K. In The Nursery, Legendary Pink Dots and Meat Beat Manifesto. Released worldwide through Sub Culture: June 2nd 2014. Recorded in stereo from the mixing desk direct to DAT. Mastered by Martin Bowes at The Cage Studios, Coventry, England. 2014.
with his Studio production, remixing and mastering work..
Coming this summer: Cage21: a compilation and celebration of the 21st year of the Cage. 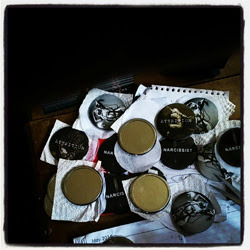 We have been working on a series of esoteric ATTRITION merchandise… badges/pins/magnets/mirrors..
Martin Bowes, Coventry, England. 2014.